I have a weird fascination with the mundane parts of grand places. 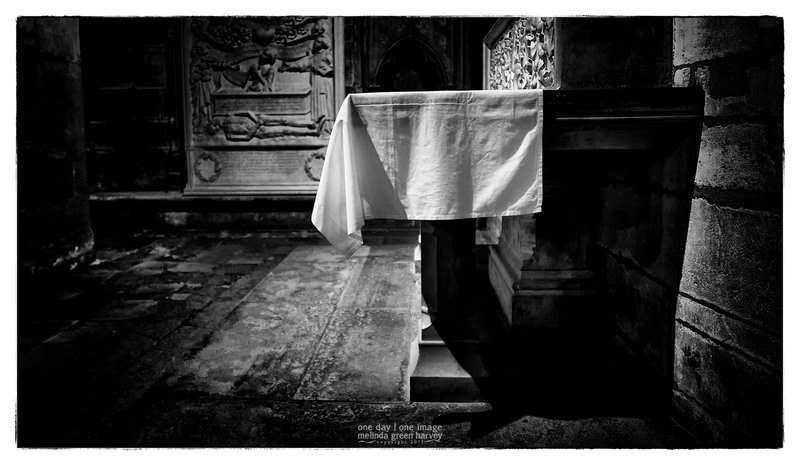 And so it happened that here in the great cathedral, I was drawn in by the starchy white of this altar cloth. Posted on August 10, 2017, in Photography and tagged 365 photo project, black and white photography, Cathédrale Notre-Dame de Paris, France, learning to see, Leica, melinda green harvey, monochrome, Notre Dame, one day one image, Paris, photo a day, photography, postaday, thoughtful seeing, travel, travel photography. Bookmark the permalink. 5 Comments. Love the light and shadow….. I wish I’d felt of the cloth, because it did seem heavy to me. I think I’ll just assume that it WAS and leave it at that.